I thought it might be helpful to pull together a list of revision materials for A level. These resources are aligned with the Edexcel A level Maths and Further Maths specifications. There are a huge number of practice papers freely available to students. These are summarised in the table below. All of these papers are available to download from physicsandmathstutor.com, including the IYGB practice papers which are taken from madasmaths.com. For most modules there's plenty here to keep even the keenest students busy. Some modules have more past papers than others (for example FP1 papers only go back to 2009 due to a change in specification). If you're willing to pay, ZigZag Education provides additional practice papers for a number of modules. It's worth mentioning that the Gold, Silver and Bronze papers are useful but do not contain new questions, so if students have already done all the past papers then they will recognise the questions in these. The IAL (International Advanced Level) papers are nice - I particularly like the 2.5 hour C12 and C34 papers. I've shared revision cards for C1, C2, C3, S1, S2, D1 and M1. These can be used for a class activity or students can take them home so a parent or friend can quiz them. These crib sheets from dotmaths.com are really nice. The A level assessments for C1 - C4, D1, D2, FP1, FP2, M1, M2, S1 and S2 from @OxfordEdMaths can be used as topic tests or for revision. I like the C1 & C2 Workbook and Exam Papers from m4ths.com. In fact it's worth exploring the whole A level page on m4ths.com. There are loads of resources on MathedUp! (mostly for the AQA specification). This includes a set of Core 1 Essential Skills sheets and A level Takeaways for 13 modules. StudyWell has nicely formatted collections of past exam questions by topic for C1, plus mixed revision worksheets for C1 - C4. 35 Basic C1 Questions is a helpful resource too. For more past paper questions by topic try Maths Genie. Crashmaths.com has practice paper sets for C1 - C4, M1 - M3 and FP1 - FP3. DrFrostMaths.com has loads of A level material including revision resources, such as this C4 revision sheet. I made a C2 revision relay - you can download an editable version if you want to tweak this. I also made a C1 Revision Clock, a C2 Revision Clock, a C3 Revision Clock and a C4 Revision Clock based on Mel's 'Keeping Time' idea. My C1 Quick Facts Quiz, C2 Quick Facts Quiz and C3 Quick Facts Quiz are useful for testing knowledge of key facts. These make a good starter in a revision lesson. I also have two S1 Revision Quizzes. My students enjoyed Stuart Price's 'Correct Answer Only' activity. I adapted his resource to make versions for C1, C2, C3 and C4 - these can be downloaded here. Students work on their own to complete 8 questions, then submit them for marking. They simply get a tick or cross for each answer and then have to re-try anything they get wrong. 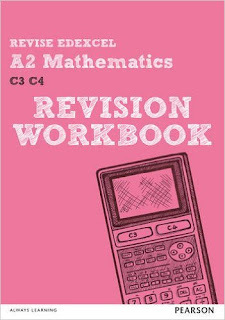 There are tonnes of revision resources on TES including a PowerPoint of C4 Exam Questions from supergenau, Integration Tips from cward66 and S2 Revision Sheets from SRWhitehouse. There are some great A level revision resources on MathsBox, for a small subscription. There are many online videos for students revising at home - the revision videos from the FMSP cover all modules. 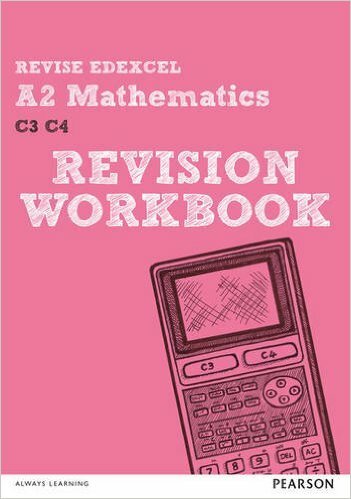 Don't forget about revision workbooks too - for example there's a C3 and C4 workbook. I can't list every single A level revision resource here, but if you know of anything particularly good that I've missed then please let me know. AEA questions can be pretty fun, for those who are up to the challenge! Thanks for this - it's great to have info in one place! Fab! Can you share a link? Hi, I am bit weak in Trigno & Integral Calculus. I intend to study C1, C2 C3 C4 and S1 D1 for A levels thru Edxcel. Suppose if i perfom well in easy units C1, C2, S1 D1 but perfom badly in C3 C4, then still can I pass ? ( C or D grade..) I think result for Maths will be combine score of all 6 units. A person told me that even if I don't solve any questions in C4, still it is possible to pass Maths by C or D grade. How far this is true... ? Well if you get full marks on 4 modules and zero marks on 2 modules then overall you have 400 UMS which gets you a C. But that’s an unrealistic scenario! Just work hard on all modules and try to get every possible mark.